Tidal is ready to receive its framed platinum disk after founder Jay-Z confirmed one million subscribers now use the service. Tweeting out to his millions of followers, the rapper confirmed that the high resolution music streaming service had upped its game in recent weeks to reach the one million mark and a concert is being planned to celebrate the feat. "Nothing real can be threatened, nothing unreal exists” Tidal is platinum. 1,000,000 people and counting. Let's celebrate 10/20 Brooklyn,” Jay-Z tweeted. Jay-Z paid a big $56 million (£37 million) earlier this year to buy Tidal and boasted shortly afterwards in April that 770,000 subscriptions had already been taken out. To celebrate hitting the magic million, the likes of Jay-Z's wife Beyoncé, Prince and Usher will all perform at the charity concert on October 20. The gig, which will be live streamed on the Tidal site to all one million subscribers, will also be available to anyone not signed up as a full fledged member of the service. 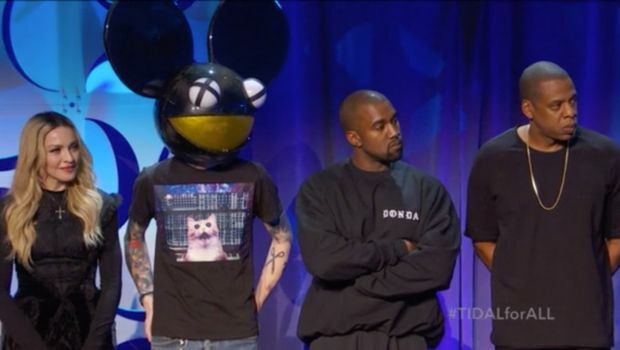 Tidal differentiates itself from the likes of Spotify and Apple Music by offering high quality (1411 kbps FLAC format) streaming at the eye-watering price of £19.99/$19.99 per month that is double the £9.99/$9.99 Spotify charges for its Premium tier. Tidal's own premium tier comes in at £9.99. That's before you even consider Apple Music's much publicised entry into the space with a similar price-tag to Spotify and even though it already has 11 million subscribers, it's still unclear how many will choose to pay £9.99 now that it is no longer free.